Hamuq Review- I may be biased because I couldn’t get used to mattresses without coils. My favourites have always been pocket coil pillow tops, and the Hamuq mattress is a great choice. Endy Review – Beats CasperBut because it sleeps a little hot, the edges are a little too soft, and it sinks… it gets second place. 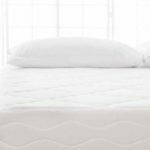 Casper Review – A good mattress, but overpriced when comparing to Endy. You don’t get what you pay for in terms of price difference. 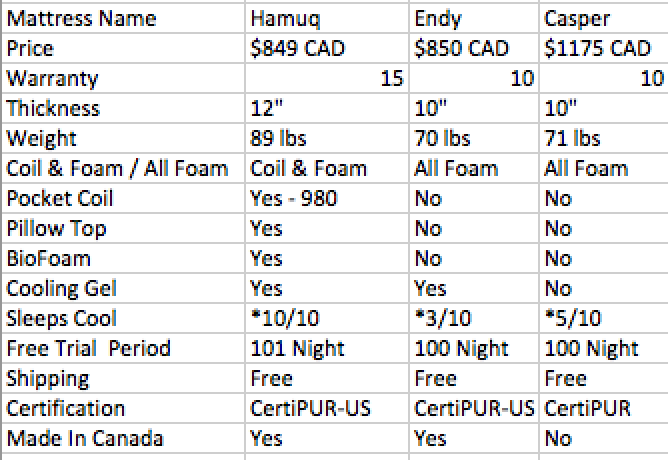 How does the Hamuq pocket coil mattress compare to the Casper, and Endy memory foam mattresses? Well I’ve researched and reviewed all four and have summarized my findings below. There are some really complicated reviews out there to try and follow and its overwhelming. At the end of the day, these online mattress companies offer you 100 nights for free to try it. With excellent return programs and free pickup, it really shouldn’t be that complicated of a process to buy. Keep it simple in your determining factors. Hamuq, like Casper, and Endy, are becoming the future when it comes to mattress shopping. Their bed in a box system that includes free shipping and a 100 night free trial makes for a very easy and convenient way to purchase a mattress. All 4 mattresses are great mattresses and I would recommend to everyone. The cool thing about Hamuq is they are the first company I’ve seen come out with a pocket coil mattress in a box, while there are many companies now that offer the memory foam mattresses in a box. Hamuqs pocket coil has a sturdy bio foam that encases the outsides of their mattress resulting in strong edge support. With the memory foam mattresses being the same foam right to the edge of the mattress, the edges often become very soft after a long period of time. You might often hear that memory foam mattresses will make you hot in the middle of the night and I do find this to be true. 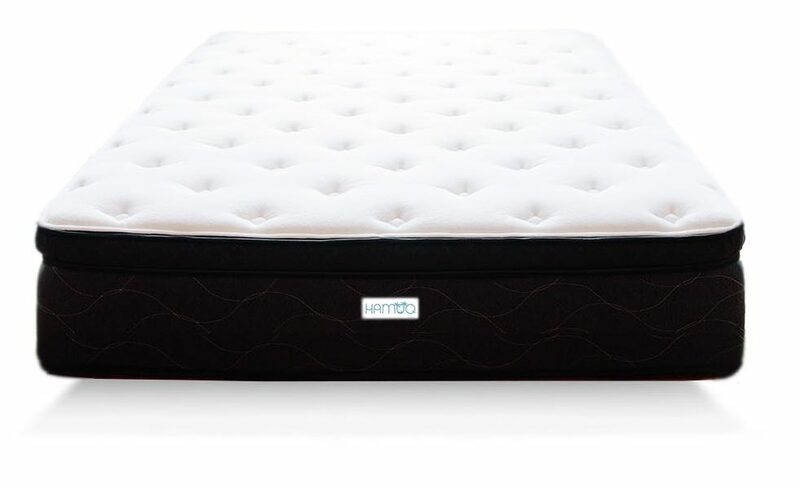 If you are someone who is bothered by being a little warm at night I would probably recommend Hamuqs pocket coil mattress to you because of the fact that they use a soft bio foam in their pillow top that will stay cool throughout the night. For me I’m not the type of person that needs a real cool room at night to get a good nights sleep, but i did notice i got too hot with the all foam mattresses, I can definitely feel the difference between the all foam base/memory foam mattresses and ones like Hamuq with a pocket coil base. Casper and Endy both have a 10” thick mattress while the Hamuq is 12” thick and much heavier. Similar Hamuq mattresses sell in showrooms for over $1800. When it comes to firmness of the four mattresses I found them all to be in the somewhere in the middle. Not overly firm or overly soft which is usually the preference for most people. As far as overall comfort, heat, sink, bounce I enjoy the feeling of Hamuqs pocket coil style mattress over the memory foam mattresses, as far as value Hamuq wins by a mile. Do you think the caspers price tag is worth it? Personally no. Comparing Casper directly to endy you have about the same mattress. Casper just has a massive marketing budget which makes you think there better. Hamuq, in my opinion, is better then both of these. It’s built sturdier, will last longer and is more comfortable. Are they really made in Canada? I always see these claims and don’t understand how it works. I feel like everything is actually made in China. Yes they are. To claim “made in Canada” 51% of the materials must come from Canada, or you could get in serious trouble. Also they must be manufactured here. I’ve also seen the factory and warehouse, both of them on the edge of Toronto. Nice facilities I might say. Is the Hamuq Eco friendly? Healthier? Yes, Hamuq uses biofoam, which is 70% soy. Casper and Endy use a memory foam, which is all chemicals. From what I understand no soy is used. I know quite a bit about mattress composition and as far as I can see Hamuq is more Eco friendly and better for your health. heard Casper and endys mattresses smell because of the chemicals in the memory foam. Do Hamuqs smell? What do you mean by sinkage? I am also in the market for mattress. I was looking at Endy initially until I found this link. I cannot find a lot reviews on Hamuqs. I assume Hamuqs only sella online. How firm is the mattress compare to Endy? hard to compare firmness between an all foam mattress and a pocket coil pillow top. 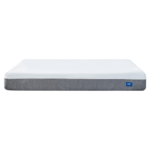 The pocket coil base gives it a steady and strong deep support that your body needs in deep rest, while the pillow top gives it the softness that contours to your body. If I had to pick a word for the firmness, I’d say medium firm. Which would be in line with what an Endy would be called. But remember its a different feel so I wouldnt compare the two directly on firmness. I am curious as to how you came to came to conclusions in your comparisons on cooling and layer quality? Have you slept on the Hamuq, Casper, Endy & Douglas bed? I am trying to find useful comparisons, but I am only finding subjective opinions and not real data. My numbers are subjective, but they are based on what manufacturers told me about the materials and reviewers of the products. Its not easy to find a super useful comparison with hard data. If you do come across one please do let me know and I will re-adjust my rankings based on it.